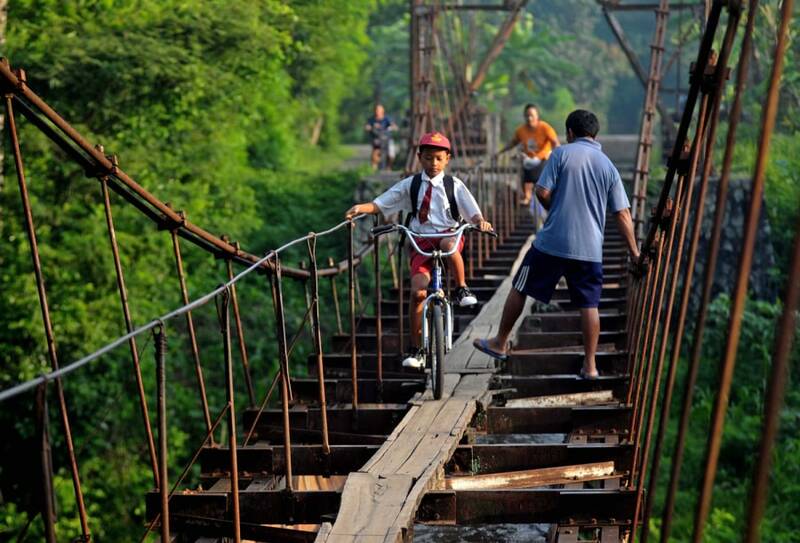 A boy on his way to school rides a bicycle across planks on an aqueduct that separates Plempungan Village and Suro Village in Karanganyar, central Java, Indonesia, on Nov. 26. As rickety as it looks, residents prefer to use the old aqueduct as a shortcut. The alternative route requires walking 3.5 miles.